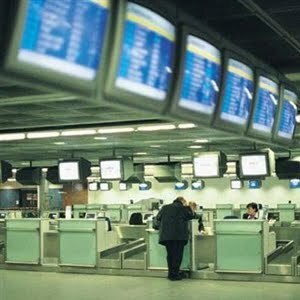 The number of people leaving Ireland by the end of 2011 is expected to reach 120,000 according to a new survey issued by the Economic Social Research Council (ESRI) the prime think tank on economic matters. The shock figures are released by the ESRI in a report out today . In other words it is back to the future for Ireland. The emigrant floods of the 1920s, 1950s, 1980s and now 2010 are perfectly spaced 30 year exoduses from Ireland, always associated with an economic downturn. The exception was the 1920s because of the aftermath of the civil war. So all those economic panjandrums who had predicted the end of the emigrant boats during the good times are revealed to be far off the mark. About as wrong as the gurus who predicted the never -ending rise of house prices in the Emerald Isle . Not coincidentally, the ESRI also note that the economic situation is expected to improve in the next few years. Emigration can do that, as the competition for jobs and resources lessen. Yet it is all a terrible indictment of the long-term government of a little island that by now should have figured out a way to ride out recessions, like countries such as Canada and Australia did on this occasion. It is not like the Irish have been unsuccessful in solving many problems. The peace process in the North is an extraordinary example of how clever they can be when faced with a seemingly insurmountable problem. But with the North they attacked it with a proper sense of the difficulty and a humility about what they felt they could achieve. The bloated Celtic Tiger was another animal altogether. The Irish expression 'put a beggar on horseback and he will ride it to hell' is apt here. Too many made money too fast, gained power so fast, became intoxicated with the delusion of their own grandeur. They were so busy back clapping and bowing for encores that they missed the ghost quietly slipping into the banquet. It oddly reminds me of the scene in Godfather 11 when Michael Corleone is in Cuba on New Year's eve celebrating with the Batista regime. The party is long and boisterous but mixed with the firecrackers are the opening salvos of the guns of Castro's revolutionaries. It will be a long road back.